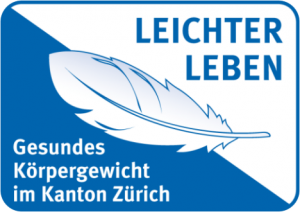 Officially awarded from “Easy Living” in 2015 as a recommended source for healthy eating “Light Life” is a program of the Zurich government with around 20 projects of various kinds, which Zürcher children and young people assist them to achieve a healthy body weight or maintain it. It is supported by Health Promotion Switzerland. Almost <strong (31.1%) of Zurich`s population is overweight, with men being twice as likely to be overweight than women. In Switzerland, every fifth child is already overweight. In the canton of Zurich, these figures have stabilized in recent years. In order to secure what has been achieved, the Zurich Government has granted a second season of the action program. Overweight and obesity in particular are a health problem in the first place. Sufferers have a much greater risk for diabetes, hypertension, gout, thrombosis, heart attack and stroke. Obesity causes damage to the joints and the back extraordinarily and also represents a psychological burden.